It’s never been easier to design surveys, collect feedback and gain actionable insights. Insight tools are expert-designed research products that make it easy for you to measure what matters. 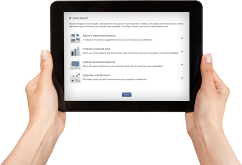 Collect feedback from colleagues all around you, for a 365 view on a range of professional competencies. A feedback tool for supervisors to provide feedback to their direct reports. Feedback from direct reports to their supervisors, on a range of management skills. Monitor the pulse of your customers so you can keep them satisfied and loyal. Monitor the progress of your non-profit organization and collect impact evidence over time. Track your personal goals, motivation, and self-confidence. Discover what matters in your life. Just complete our wizard, add people, schedule feedback, and click start. It’s that simple! Then Survey Graph will do the rest, and deliver you intuitive reports, showing you what matters. Simply select the expert-designed insight tool you’d like to use, then complete our handy setup wizard. 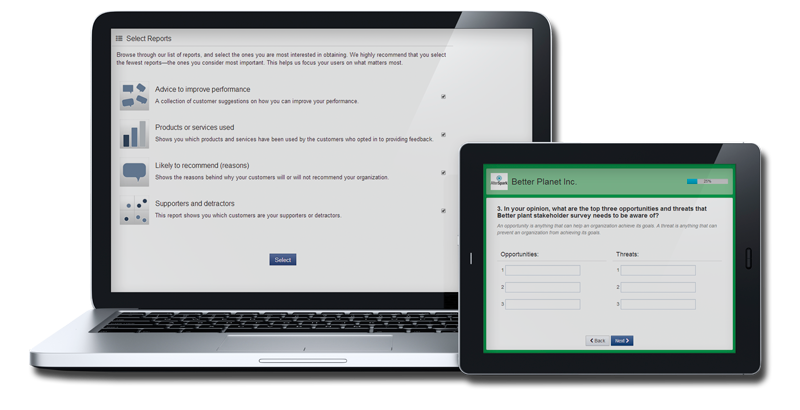 You’ll start by selecting the reports you want and then completing your measurement lists. Next, just add the people you’d like to invite to provide feedback and assign them to groups. It’s as simple as copy’n paste. 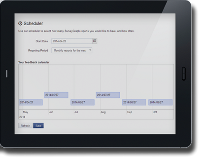 Then schedule how often you’d like Survey Graph to invite people to share feedback. We’ll send them an email invitation, and if they don’t respond, we’ll send them a gentle reminder, helping them complete the survey or opt-out if that’s what they prefer. Finally, we’ll give you a reporting dashboard that shows overall trends and provides meaningful reports. You can look at trends over time, zoom in on specific issues, or explore differences between groups. If you’re into analyzing the data yourself, you can download the raw data. where you need random sampling. 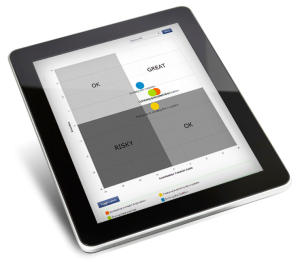 Survey Graph provides feedback throughout the year, in real time, so you’re always on top of the trends. Why wait till Traditional research provides too much information, too late. We’re your early warning system, showing you what’s working and what you need to avoid, helping you make the best decisions along the way. You data’s safe on Canadian servers with 128-bit encryption.